Imagine if you could calculate and project the lifecycle costs, capital replacement costs and carbon footprint of every commercial kitchen you operate for the next 5 to 15 years?. 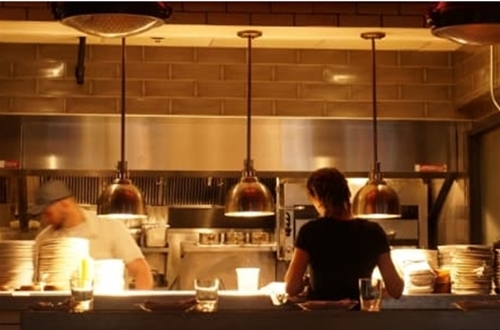 Kitchen operators are now able to project the amount of energy consumed, the cost of energy and the carbon footprints in their commercial kitchens. 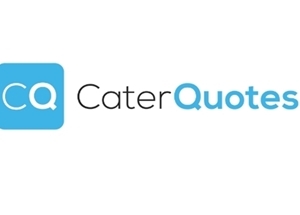 Caterops is a cloud-based based system, and it enables commercial kitchen operators to reduce the carbon footprint of the facility through critical decision making. Through this service, kitchen owners can estimate the energy efficiencies of an individual kitchen over a given period. Fluctuations in the market together with the financial unpredictability's, kitchen operators find it difficult to decide on whether to repair an existing damaged equipment to prolong its life cycle or to replace it as a whole. 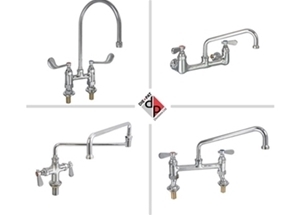 Caterops designers are of the suggestion that kitchen owners take it too long to replace kitchen equipment. Caterops software was invented to assist kitchen operators in making reason scientifically on matters concerning their kitchen estates. Using the software, operators can be able to make correct decisions before the equipment fails to the detriment of its overall lifecycle. Knowing the right time to come up with a decision concerning capital investment is the major issue affecting many people. Caterops was developed by FCSI consultant Kate Gould, who works at KEG advisors. Kate spent three years developing the software in partnership with Alex Schlup. Kate got interested in developing Caterops after she was asked to carry out a research project on the assessment of the lifecycle costs of 48 school kitchens. The objectives of the project included finding out what the assets were, finding out their life cycle, and finding out the replacement values of the equipment over a period of 10 years. Alex Schlup is a professional software programmer, came in assisted Kate to put her work on databases. The difference between a carbon calculator and Caterops is that carbon calculator works by calculating the carbon footprints based on the menu composition, an example collaborates on the ingredients. On the other hand, Caterops works by looking at the energy consumption, and the energy usage within a kitchen system. The results are then divided by the number of meals and the production. The primary factors that Caterops is designed to project include energy costs, energy consumption, together with carbon footprints and life cycle costs. Caterops is designed in a way that is easier for the kitchen operator to manage the data contained in the system. 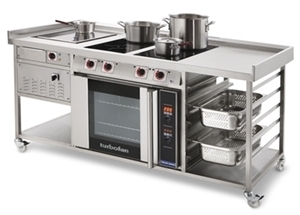 It is described as a massive revolution in the energy and asset management for many commercial kitchens. Kitchen owners will be able to minimize their energy consumption, put their current assets into good management, and plan equipment replacement and upgrade their budgeting. Take charge of your energy consumption by being able to forecast it and manage your assets to reduce the production costs. The data is capable of being updated by anyone having a security access. The Caterops team continuously keep on loading the system with new energy efficient equipment. The cloud-based service is designed with a database system comprising of details of the equipment manufacturer, dimensions, model, the retailing price, and the connected load. Caterops works by comparing the machine's detailed information with the least carbon footprint, lowest lifecycle cost, and the lowest capital investment. Kitchen details such as the duration of time the kitchen is operational, the business hours of the equipment, the energy costs per site, and the number of meals produced. A condition survey also needs to be done to find out the expected half-life of each piece of equipment in the commercial kitchen. The system is then provided with details that are unique to the site to provide detailed information about the particular kitchen. Kitchen operators will then be provided with a wide variety of results that enables them to come up with a workable procurement strategy. Three different types of scenarios should be expected from the system. The first scenario will be of a piece of equipment that is cheaper than the existing piece of equipment. The second part will be showing the material that has the shortest life-cycle cost based on a combination of energy and capital. The last scenario will show the material having the lowest carbon footprint. The carbon footprint represents the amount of carbon dioxide used in kilograms. Kitchen operators will be able to use the information they get from the system for various purposes. Operators will also be able to get the calculations of the amount of the potential energy consumption and how the connected loads will be in the future. If the system suggests that the operator changes a part of the equipment, it may require the piece from the same brand or it may be like-for-like. The system will generate a list of equipment that can be matched with the equipment. From the list the system creates, the kitchen owner will be provided with the outcomes that are most cost-effective. Currently, the system's calculation is projected for a period that ranges between five and 15 years. How does the cloud-based system predict actual energy consumption? The database has specifications, applied industry, and national formulae and algorithms are used to calculate the carbon, the energy consumption, and other things. Caterops works based on the recommended retail prices. One can still override the prices if they wish. The system will be able to come up with the rate of your energy usage based on the kitchen operator’s preferred scenario. • Reduce energy costs to more manageable levels. • Replacement of the equipment will be carried out at a more affordable price. • Financial losses that arise from equipment failure are also minimized. • Environmental targets will also be achieved. • Budgets will be managed at a touch of a button. • Risks associated with operational downtime are also suppressed. • On-demand energy forecasts, the energy load, together with the carbon emissions will be easily calculated. • There are Carbon Reduction Commitment (CRC) reductions. Using the cloud-based system, kitchen operators together with their assistants will be able to project efficiencies over the duration of a single kitchen or a multiple of kitchens. Caterops also creates an asset register that is more comprehensive and manageable. The system acts as a tool capable of showing how the capital investment has influence over energy efficiency and carbon footprint. The most cost-effective strategy for the equipment replacement will be found based on the environmental and financial targets. • Collect your equipment from the database, then place serial numbers or the asset tags to acquire the asset register. • Then put the life expectancy of your kitchen equipment. In case the equipment records are out of date, a condition survey will be carried out. • Add your site-specific operational data into the system. The data comprises of the duration of time each piece of the equipment runs in a single day, he number of days per year the system operates, and the total number of meals that are prepared using the equipment. • The kitchen operator is also able to use the number of kitchens they are interested in accessing the results. • In case some of the operator's equipment is not contained in the database, Caterops operators will conduct research on older parts of the equipment to find the most appropriate replacements as needed. • Caterops will cost differently depending on the total number of installations. The savings will be able to recoup any investments instantly.